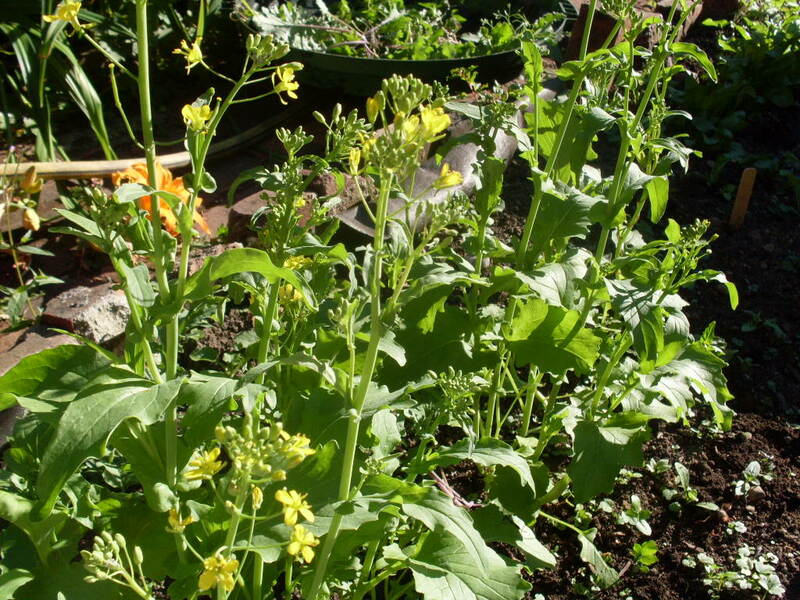 Garden report: Of course you want to hear more about radishes! Ordinarily, I would make a grand fuss out of accidentally deleting my last post, and perhaps I will later when it comes time to re-write it. Nothing can tarnish my sparkly mood right now, however. 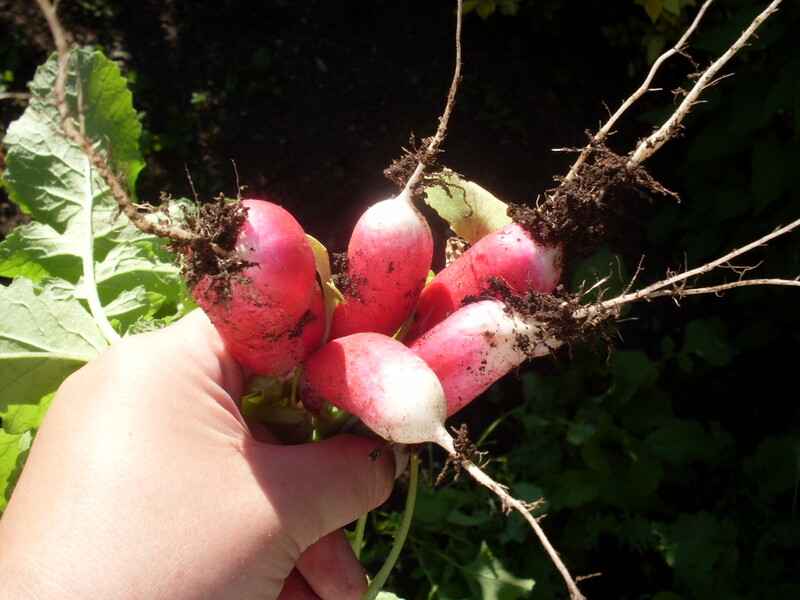 I HARVESTED MY FIRST RADISHES! There were seven in total, but we ate the first two fresh out of the ground, cleaned with water from the hose. What peppery, delicious little things! If I wasn’t sold on gardening before, I am now. I like gratification you can eat. 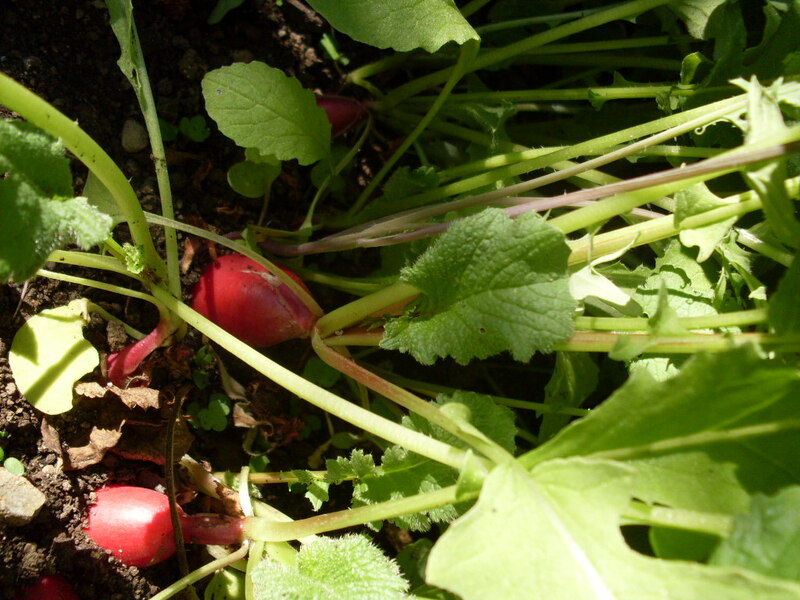 The radishes are the first things to ripen. There will be carrots at some point, and the broccoli, beets, and cucumbers look promising. There is kale, and some chard (I think I weeded some early seedlings by accident). Do you like my veggies and Nick’s Star Wars big-boy underpants? Which do you like more? So, there you go. 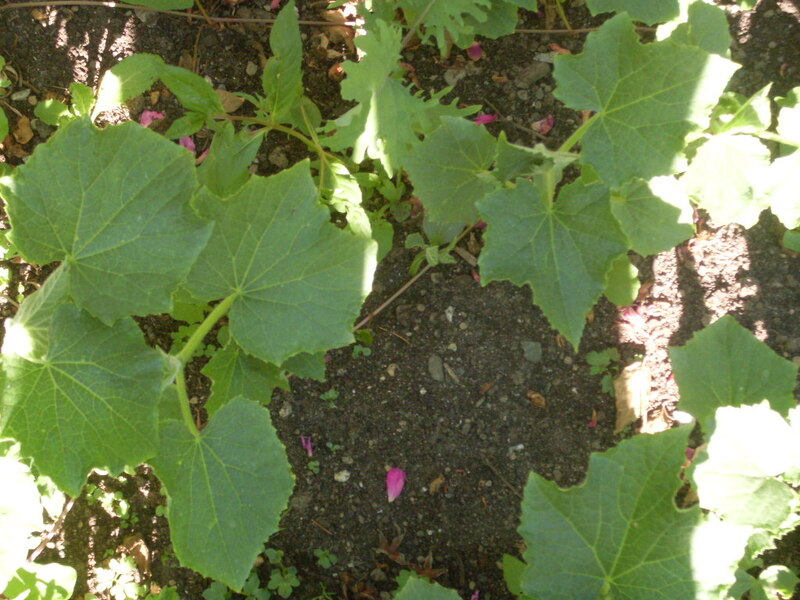 An update, as promised, on my glorious garden that now bears fruit. I’ll re-write the piccalilli post this week (grrr). 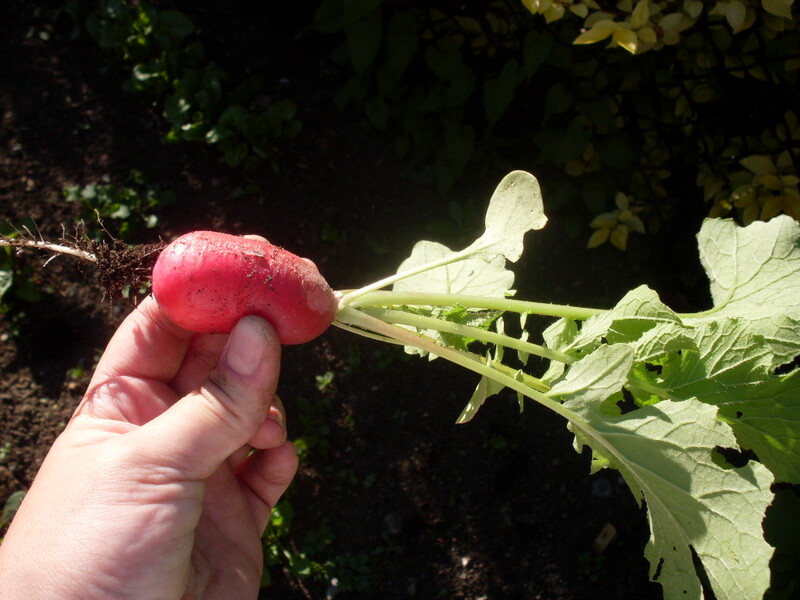 For now, I have to go dip radishes in good salt and feel smug about my imminent self-sufficiency. Whee! < Previous On the topic of picnics. Next > A day of fantastic meats. Cuddles would be so proud of you!!! ps btw, sparkles on waters are called coruscations. I learned from Cuddles, too. What are those bigger-looking guys with little yellow flowers? Whee! Thanks, Raff! The yellow-flowered guys are supposed to be broccoli, but I can’t tell if that’s how they’re supposed to look. Thanks for the congrats, all! And Linda, you’re right. The boy has fantastic taste. One day, he’s going to agree with me (and forget that I drunkenly imposed myself on him not so many years ago and therefore this whole relationship is ultimately my fault*). *Except he proposed, which is still confusing. much better than my garden. I started much too late. Great job.